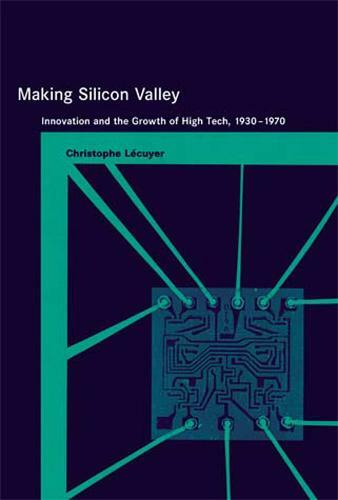 In Making Silicon Valley, Christophe Lecuyer shows that the explosive growth of the personal computer industry in Silicon Valley was the culmination of decades of growth and innovation in the San Francisco-area electronics industry. Using the tools of science and technology studies, he explores the formation of Silicon Valley as an industrial district, from its beginnings as the home of a few radio enterprises that operated in the shadow of RCA and other East Coast firms through its establishment as a center of the electronics industry and a leading producer of power grid tubes, microwave tubes, and semiconductors. He traces the emergence of the innovative practices that made this growth possible by following key groups of engineers and entrepreneurs. He examines the forces outside Silicon Valley that shaped the industry-in particular the effect of military patronage and procurement on the growth of the industry and on the development of technologies-and considers the influence of Stanford University and other local institutions of higher learning. Lecuyer argues that Silicon Valley's emergence and its growth were made possible by the development of unique competencies in manufacturing, in product engineering, and in management. Entrepreneurs learned to integrate invention, design, manufacturing, and sales logistics, and they developed incentives to attract and retain a skilled and motivated workforce. The largest Silicon Valley firms-including Eitel-McCullough (Eimac), Litton Industries, Varian Associates, Fairchild Semiconductor, and Intel-dominated the American markets for advanced tubes and semiconductors and, because of their innovations in manufacturing, design, and management, served as models and incubators for other electronics ventures in the area.